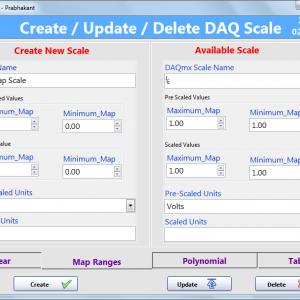 This example is used to create / update / delete daqmx scales. Using this variuous types of scales can be created like Linear, Map Ranges, Polynomial and Table. Also using this you can delete or update existing scales. If you have any suggestion on the same, please let me know to improve it. search for the "Create_Scale_LV2010" support page. Hyper Terminal is a program that you can use to connect to other computers, devices and host computers. 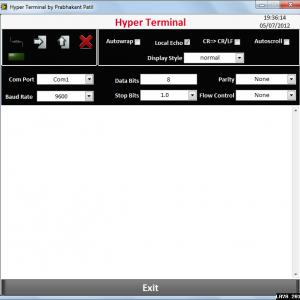 Hyper Terminal has capabilities beyond making connections to other computers and devices. It can, for example, transfer large files from a computer onto your portable computer using a serial port rather than requiring you to set up your portable computer on a network. It can help debug source code from a remote terminal. It can also communicate with many older, character-based computers. Connect / Disconnect: Clicking on this button, selected com port will connect or disconnect. Send File: Clicking on this button, file section window will open. User can select the file which supposed to send. Log file: Clicking on this button, User can log the data to the selected file. Exit: Clicking on this button, application will exit. 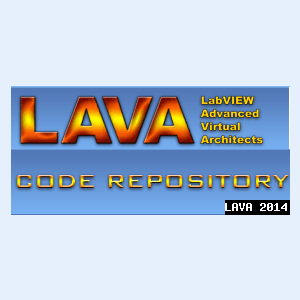 Version History: v1.1.0: Initial release of the code. search for the "Hyper Terminal_LV2010" support page. This library is used to implement CAN protocol for the Phytec USB Can device. 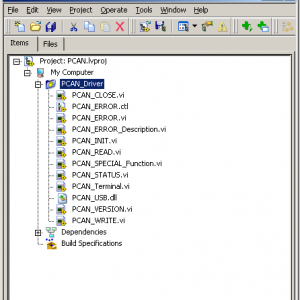 search for the "PCAN_Driver_LV2010" support page. 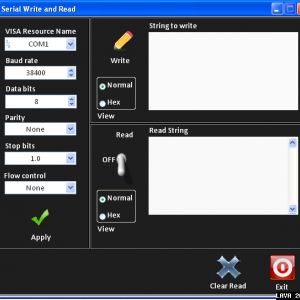 This example is developed to test the serial port in simple way. it has a very good UI. Here is a free event driven NI_CAN_Terminal. It can show data on CAN bus, send messages(periodicaly too) and log data to a ASCII file (tab spaced). LV 8.0 + NI CAN Driver + any NI CAN adapter. This driver is an implementation of the Microsoft two-button mouse protocol, for using a serial mouse or trackball. It polls a specified serial port at a specified rate, and reads any data waiting there. This has been tested under LabVIEW versions 7.1.1, 8.0.1, and 8.20 under Windows 2000 and Windows XP, and under LabVIEW Real-Time 7.1.1 and 8.0.1. 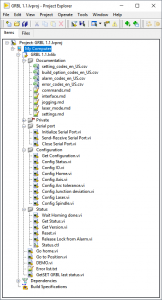 This driver contains components created using the dqGOOP toolkit to enable object-oriented programming. Note: When using a serial mouse under Windows, it is important that Windows not auto-detect the existence of the mouse (e.g. upon bootup). Otherwise, the operating system will intercept the mouse input and LabVIEW will never see it. University of Illinois/NCSA Open Source License (view license.txt for complete verbiage).